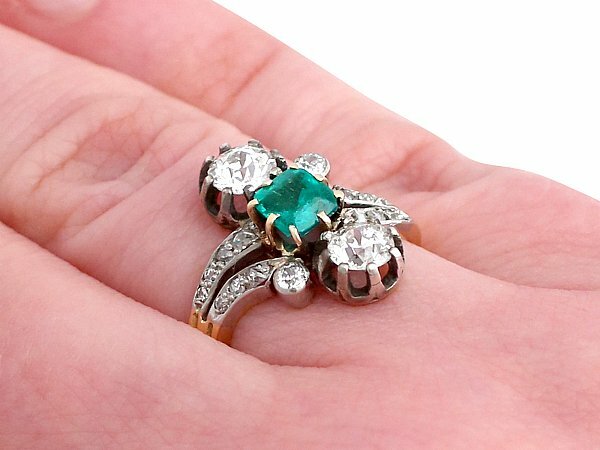 This stunning and unusual antique French diamond and emerald twist ring has been crafted in 18ct yellow gold with silver settings. The pierced decorated twist shaped mount displays a feature step cut natural emerald, eight claw set in 18ct yellow gold to the centre, flanked on either side with well colour matched Old European round cut diamonds claw set in silver, displayed in a vertical formation. The impressive pierced decorated, flared , bifurcating scrolling twist design shoulders are accented with two feature Old European cut diamonds, within individual collet settings. Each shoulder is embellished further with seven cushion cut and Old European round cut diamonds, graduating in size. The flared bifurcating twist design shoulders integrate into the 18 carat yellow gold shank, which is embellished with subtle grooves. 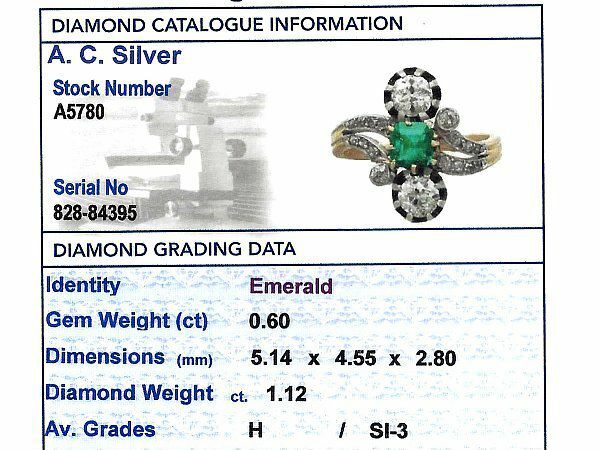 This 1880Ã¢€â„¢s dress ring is supplied with an independent diamond grading report card. 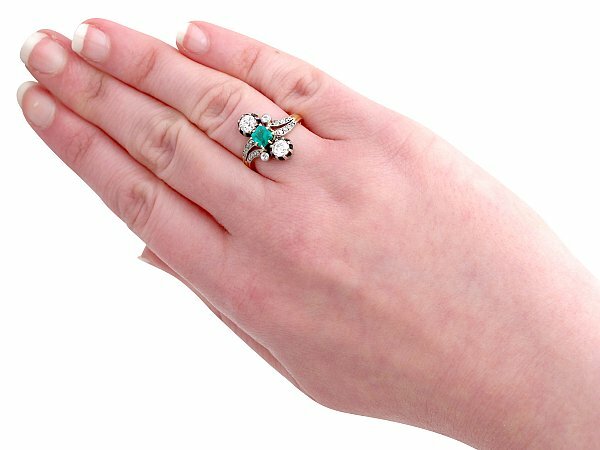 This impressive antique twist ring has been independently tested using state of the art technology (Niton XL2 Analyzer) and verified as 18ct gold. Reference: The ConnoisseurÃ¢€â„¢s Guide to Precious Gemstones, R.Wise, Brunswick House Press. This twist ring is fine quality set with very high colour graded old cut diamonds and an impressive natural emerald. 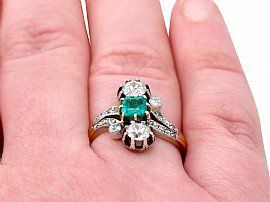 The ring may be professionally adjusted in size on request to meet your personal requirements. 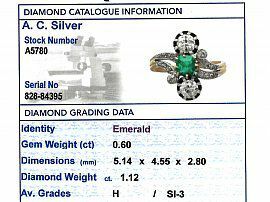 Due to the groove design around the shank, a subtle join would be visible if the shank was resized.